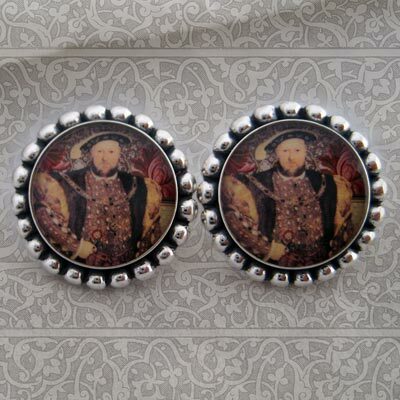 These beautiful, unique and collectible sterling silver earrings feature Tiffini Elektra's collage of King Henry VIII holding The Tudor Rose with pieces of antique bookplates and ornamental papers. Dimensions: Earring Size is approx. 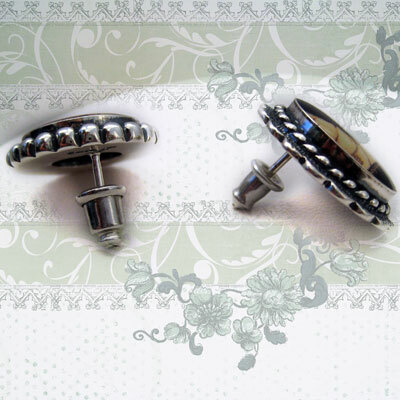 5/8" (16mm), Image size is approx. 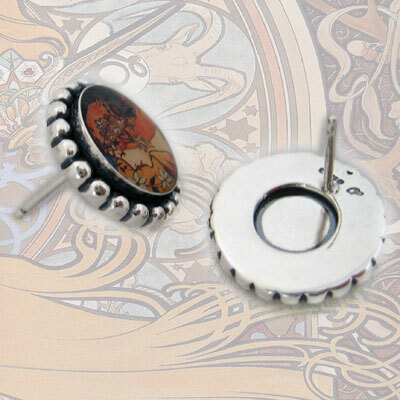 1/2" (12mm) in diameter. Other images available - Catherine of Aragon, Anne Boleyn, Jane Seymour, Anne of Cleves, Catherine Howard and Catherine Parr.